How to Sneak Alcohol on a Cruise Very Easily! Never Buy Alcohol On a Cruise Ship! Want to know how to sneak alcohol on a cruise? Are you trying to save some money and still have fun? Well you are not alone at all. You see I was once that guy! I wanted to know how to sneak booze on a cruise ship without any risk of getting caught; I needed something that worked every time! Well it is no secret, we all know that cruise lines make their money on drinks. A bottle of anything whether it is vodka, tequila, or scotch is far too expensive. You will be lucky to not leave your next cruise broke. After having my own complaints and hearing others, I wanted to do whatever I could to help find a way so that you too could continue to have fun and not break the bank. So after going through a lot of the crap that Google suggested, but never worked….I found what works flawlessly; BoozeCruise Rum Rummers Flasks. These flasks cost a small fee, but it’s nothing compared to what you would spend when having to buy alcohol on a cruise. Trust me, they are worth it and are simply the easiest way to hide alcohol on a cruise! First you need to choose the alcohol or liquor that you are going to use. Now you need the flasks as they are the ONLY things that will get your alcohol past x-ray. All you have to do now is fill them up with your favorite alcohol or liquor and that is it. Place them in the refrigerator or in the cabinet until you are ready to go on your cruise! If you need the kit visit our shop here to get the flasks! Now let’s fast forward to the night before you get on the cruise. Once you have filled-up all of the flasks, place them in your luggage in-between your clothes or at the bottom of your bag. Do NOT put these flasks in your carry on. Only put them in the luggage that they’ll take from you to get x-rayed. The reason why you can’t put them in your carry on is simple, because cruise lines are getting smarter. They know which ways people try to smuggle in alcohol on cruise ships. So it’s pretty common for them to do an open check of carry-on bags to see if anyone is bringing in alcohol. But don’t worry, the most they can do if you are dumb enough to bring the alcohol in with your carry-on, is to just confiscate it. I have been smuggling alcohol for over 10 years and no one has ever been kicked off. You are almost done, now just remember to NEVER place your flasks in your carry on, all of your flasks go in your luggage bag for x-ray – you are alcohol free when you meet the boarding staff. When your luggage goes through the x-ray you can be sure that it will pass with no problems whatsoever I promise you. Now after it scans just go pick up your bag and there you have it, fun for the whole entire trip at just a fraction of the cost! That is how to sneak drinks on a cruise my friends. Want to sneak alcohol on a cruise? Go here to get the flasks! Best way to hide alcohol or liquor Step by Step! Looking to sneak alcohol on a cruise go here! Want to sneak alcohol into an event go here! What is the best way to hide alcohol? Or how do you sneak alcohol onto a cruise ship? Our reviews speak for themselves. These other methods used to hide your liquor or alcohol simply don’t work. Listerine or Shampoo bottles? If you put your alcohol into one of these you are going to have a bad mouthwash taste. Do you like your alcohol or liquor tasting like mouthwash? It also draws attention when they x-ray it seeing a big shampoo and mouthwash bottles in your luggage. Water Bottles? Seriously?!! The cruise lines are way smarter than that. Placing your alcohol in water bottles is outdated. Caribbean, Carnival and many other cruise lines look for broken seals when they see water bottles. If you are thinking about leaving them in their original containers you are asking to get caught. By now they know what alcohol bottles look like on a x-ray. Our Rum Runners Flasks look great on x-rays and don’t look like the typical stuff you see people use to smuggle alcohol. Not to mention they are built to last. Bottles can break and leave your clothes ruined and smelling like liquor. Cruises have beefed up their tactics over the years so step up with them! Don’t make the mistake of trying to use other methods that are obsolete….get your Booze Flasks now! Want to hide alcohol easily? Click here to get the flasks! If You Want to Sneak Alcohol on a Cruise All You Have to do is Click Here! There are various techniques of sneaking alcohol. Don’t be the one who smuggles alcohol the wrong way – check out our more in depth approach of the method we use, visit our step by step guide on how to sneak alcohol on a cruise. When one smuggles alcohol, they usually do it the wrong way. Ok so the first techniques to focus on will involve using your body. You can hide booze on your body through various ways. One of these is the beer belly. It entails wearing a sack around the belly, fastened by two straps for stability and comfort. This not really the best way to smuggle booze on a cruise ship. The beer belly can help you to conceal alcohol and literally pass through any detector if done correctly. It is suitable for hiding dark liquors and cream liqueurs. With the beer belly, you simply fill your favorite drink and you are all set. This method is preferred by some because it blends in with the body and does not raise any suspicion at inspection before boarding the ship. Can you take alcohol on a cruise? Yes, but it must be concealed! Which leads us to check out the wine rack. These silicon bags fit under a woman’s bra. All you need to do is fill up your sacks with your favorite drink and it is a done deal. They fit comfortably and do not raise suspicion. They look natural and nothing is out of place. This technique is effective in response to how to sneak alcohol on a royal Caribbean cruise or any cruise line for that matter. It is convenient and once you make it into the ship, you are free to remove the sack and slowly enjoy your drink. When it comes to knowing how to sneak alcohol to a party, you need very discreet methods and this is not one. Here is another one people consider the best way to hide alcohol, it’s through a wine spigot. It’s the ideal technique to sneak booze into virtually any occasion so they say. Can you imagine carrying about five liters of booze right on your hands? That is enough booze to go around for everyone. In case you go on a cruise, you have enough booze to last the whole cruise. This is a great method when learning how to save money on alcohol on a cruise. This method is also great for sporting events. It answers the question how to sneak alcohol into a sporting event? In most cases, sporting events prohibit alcohol or patrons bringing their own alcohol. Whatever the case, your handbag is the least suspicious thing. Other discreet ways include the walking stick flask. This one is a bit cumbersome, but it is better than noting or paying outrageous amounts for alcohol. You simply mix your vodka, rum, gin or whiskey with a soft drink and you are all set. People going to the beach also want to enjoy their favorite drinks. However, many beaches do not allow consumption of alcohol. Therefore, how can you sneak booze to the beach? There are many techniques to enable this. One of the things to do is conceal your beer can into a soft drink can. How this works is by getting the can and cut it through the middle, make sure that the logo is visible. Neatly fix your beer can and join with some adhesive. When you go to the beach, simply pack them in the case and you will easily pass security. You could also put the cans in the cooler and cover with ice. This is also one of the best ways to smuggle alcohol on a cruise, beach, concert, you name it. There is nothing more enjoyable than a cold beer during the summer, while enjoying the sun. You will easy pass through security and no eyebrows will be raised. This is the best way to hide alcohol. Another great trick to use is a pair of binoculars. This is simply a flask in the shape of binoculars. The viewing lenses are caps, which enable you to pour your favorite drink. You can get away with this trick in so many places and they include cruise ships, sporting events and even parks. This brilliant method fits in with places that going with a pair of binoculars will not seem out of place. You are free to enjoy your drink discreetly and without any disturbance. This is how to sneak alcohol on the beach. Saddlebags are also considered the best way to hide alcohol. Saddlebags are silicon bags that fit around the hip area by fastening clips. This makes them firm and gives the wearer superior and better comfort. Therefore, can you sneak alcohol on a cruise ship with this method? Certainly yes, simply fill up the sacks with your favorite drinks and strap them on. You easily pass through security without looking suspicious. This has proven to be one of the best ways to sneak alcohol on a cruise. This is also great for all sorts of events, from cruises to sporting events. In sporting events, you can buy a beer and later on, empty the contents of the saddlebag. You are also in the process saving a lot of money on expensive alcohol sold at these events. You have the freedom to enjoy your drink with no pressure and have a great time. It is as good as sneaking alcohol on royal Caribbean. The alcohol prices are outrageous. The best way to hide alcohol, simply depends on your budget and situation you are looking to sneak the booze. The consequences of being caught with alcohol are nothing to be afraid of, but still you don’t want to get caught. The most important thing is to have fun! The important thing to think about is how do you sneak liquor on a cruise ship without being noticed…. It may seem a bit out of place going with binoculars to a nightclub. A fake phone is more appropriate for that kind of setting. Next time you want to sneak alcohol into festival, choose a method that best suits your needs and the occasion or setting. Cruise ships are stricter. You may ask the question can I sneak alcohol on a cruise ship? The answer is yes, just use the first method with the water bottles as that’s easy and effective if you are looking for ways to sneak alcohol on a cruise ship. Want to hide your alcohol? All you have to do is click here! How to Sneak Alcohol On a Carnival Cruise Easily! Are you getting ready to take a Carnival cruise are looking for ways on how to sneak alcohol on a Carnival Cruise? Well, you are like me, I didn’t want to the extra $200 – $800 tab for alcohol when I had already paid so much for the cruise itself. I knew that there had have been a way to enjoy your cruise, drink, and still not break the bank. 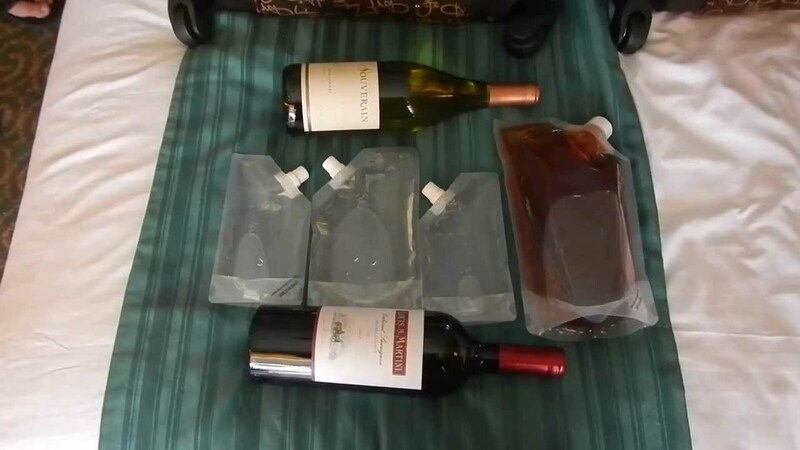 So I came up with a fail-proof method to sneaking alcohol on a Carnival Cruise!….The product is called the Booze Cruise Flask Kit! You see recently, Carnival cruise made headlines by changing its policy to ban all forms of water bottles unless they are bought from them. This was done because so many people were using water bottles to sneak in alcohol. Many may not know this, but cruise lines make most of their profit from alcohol, so it makes sense for them to protect their interests. Now that they have caught on, many people like yourselves are trying to find another way. I have been doing this for nearly ten years now and no one has ever been caught! Here below a video of one of our customers using our kit to sneak drinks on a Carnival Cruise. Also, beneath the video is the easy 5 step by step process to sneaking booze and alcohol on a Carnival cruise. Click on the link below or at the end of this article to pick up the Booze Cruise Flask Kit, it does cost a little, but it is in no way compared to what you will spend buying alcohol on the cruise if you don’t! Voila! This is how to sneak alcohol on a Carnival cruise!! After you’ve received your flasks and filled them up with the alcohol or liquor you want, place them into your luggage that will go through X-ray. Do NOT put these in your carry-on, because they always open your carry-on and pull out all of the contents. Simply put these flasks into your luggage between your clothing and in your shoes. These flasks are made to be undetectable and odorless — they aren’t picked up by the X-ray. Our kits are guaranteed to work or your money back no questions asked! If you want to sneak alcohol on a Carnival cruise all you have to do is go here! How to Sneak Alcohol Into a Concert – Easy Step by Step! The practice of hiding and sneaking alcohol is as common now as it has ever been. In some places, alcohol can be just too expensive to consume at an enjoyable level. They don’t make it cheap for you to have a good time. So the big questions about hiding alcohol is: what is the easiest way to hide alcohol and how to sneak alcohol into a concert? I tried so many different ways, from fake coffee cups to shampoo bottles you name it I tried it, but my efforts failed each time. Evidently, everyone has used these outdated methods for years and security has caught on. These outdated tactics simply don’t work anymore! The security guard patted me down, as they do everyone, then he took a good look at the cap of my water bottle, which wasn’t opened yet, and ushered me on through the gates. At that moment I realized how to sneak alcohol into a concert anywhere, each and every time! First thing you need to do is grab as many water bottles as you need for your journey. I suggest using Dasani, Aquafina… really any water bottle with a white cap. We are going to use these bottles to hide your alcohol. Place the top of the bottle you just cut off into a pot of boiling water. This will make the harder white plastic expand and the lighter plastic of the bottle melt slightly. After a few minutes of boiling, take it out the top and tear away the excess plastic bottle, leaving just the cap with its intact seal. Let the top cool down, this will probably take around 2 hours. You are finally ready to bring your alcohol just about anywhere and have no problems with security checks… you are just caring in a sealed bottle of water… right? The hardest part of this whole process is getting the cap to look like it is still sealed from the factory. If the seal isn’t broken, what’s the point of inspecting any further. As long as you are allowed to bring you own bottle of water somewhere, you’ve got booze. That’s a great way to save while you enjoy yourself. But if you can’t get the cap to look right, you’re open to having your bottle opened for a sniff test. But what if you could get extra caps with the factory seals intact, without having to boil them off of anything? Then you could take care of all of this in a hurry, if you had to… like when you’re at at a port-of-call… couldn’t you? “Booze Caps” are exactly what you’re looking for! Click the link below to get the quick and easy way to turn your ordinary water bottle into an ultra ninja liquor bottle you can bring just about anywhere you want to party! Click Here To Get Your Booze Caps!